13 May 2013 A peer has resigned from the Labour Party days before he was due to face a hearing after reportedly blaming Jewish-owned media organisations for his imprisonment for dangerous driving. Lord Ahmed was due before Labour’s ruling National Executive Committee on Wednesday over the alleged comments made to a Pakistani broadcaster. The peer – suspended by Labour in March while the party investigated – insists he does not recall making the remarks. The party confirmed he had resigned. The Times reported on 14 March that Lord Ahmed, who was jailed in 2009 for sending text messages shortly before his car was in a fatal motorway crash, had blamed Jewish-owned media organisations for his imprisonment. The peer is said to have told an Urdu-language broadcaster that he should have been sentenced by a magistrate but pressure had been placed on the courts to charge him with a more serious offence because of his support for Palestinians. ‘My case became more critical because I went to Gaza to support Palestinians. My Jewish friends who own newspapers and TV channels opposed this,’ the Times reported him as saying in the interview. He said the judge who had sentenced him had been appointed to the High Court after helping a ‘Jewish colleague’ of Tony Blair during ‘an important case’, the newspaper added. For Lord Ahmed’s resignation letter, go here. 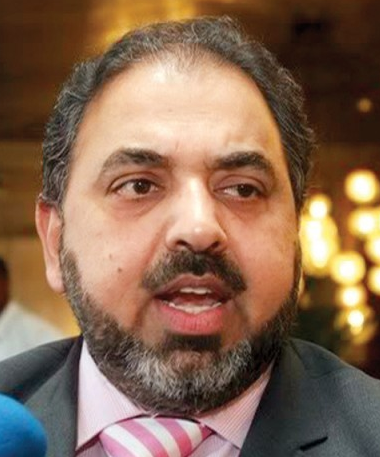 Lord Nazir Ahmed became the United Kingdom’s first Muslim life peer in 1998 and has a number of connections to the Global Muslim Brotherhood. For example, he has been a member of the Advisory Board of the Association of Muslim Social Scientists UK (AMSSUK), the U.K. branch of the American organization by the same name which is headquartered at the International Institute of Islamic Thought (IIIT), a part of the U.S. Muslim Brotherhood. The AMSS was founded in 1972 as an outgrowth of the Muslim Student Association by important members of the U.S. Muslim Brotherhood including Jamal Barzinji, currently a leader of IIIT, and the late Ismail Faruqi, a pivotal figure in the “Islamization of Knowledge” project. AMSS has sponsored annual conferences and publishes a journal entitled American Journal of Islamic Social Sciences (AJISS) in conjunction with IIIT which plays host to the AMSS. In February 2009, Lord Ahmed’s led a delegation of UK Muslim Brotherhood and pro-Palestinian groups that was expected to deliver a “letter of thanks” to the Turkish Embassy in London expressing gratitude over Turkish Prime MInister Erdogan’s remarks strongly criticizing Israeli actions in Gaza. The Jerusalem Post report indicates that Lord Ahmed was the leader of the delegation. In April 2009, Lord Ahmed led a British Muslim Initiative (BMI) delegation to Sudan that also included representatives of other UK and US Muslim Brotherhood groups. The BMI is part of the UK Muslim Brotherhood. In October 2011, US Special Envoy to the Organisation of Islamic Conference Rashad Hussain, together with representatives of the U.S. Muslim Brotherhood, were invited to speak at a UK event hosted by Lord Nazir Ahmed. Previously, Ahmed used his influence to introduce the lord high chancellor to Sheikh Suhaib Hasan to discuss introducing Islamic divorce laws into the UK, the think tank said. According to the British current affairs magazine Spectator, Ahmed recently threatened to mobilize 10,000 Muslims to prevent the House of Lords from screening Fitna, a short film by Dutch politician Geert Wilders that claims that Islam sanctions terrorism. He also threatened to take the organizer of the event to court. He called the decision not to screen the film a victory for the Muslim community. In 2005, Ahmed hosted a book launch in the House of Lords for a writer who frequently uses anti-Semitic stereotypes in his work. Russian-born Israel Shamir claimed the blood libels against the Jews were in fact true and that all political parties were Zionist-infiltrated. Shamir is a citizen of Sweden, where his legal name is Adam Ermash. In an interview on Press TV, an Iranian satellite channel, during Operation Cast Lead, Ahmed said that Jewish student groups actively recruited for the IDF, and that British Jews who fight in the IDF should be arrested and, if necessary, charged with war crimes. In June 2012, Lord Ahmed cancelled his plans to host far-right extremist groups at the House of Lords.